Forget all about what big brands have offered us during the Super Bowl. It’s time to see an ad that’s really innovating and aims to solve a real social problem. 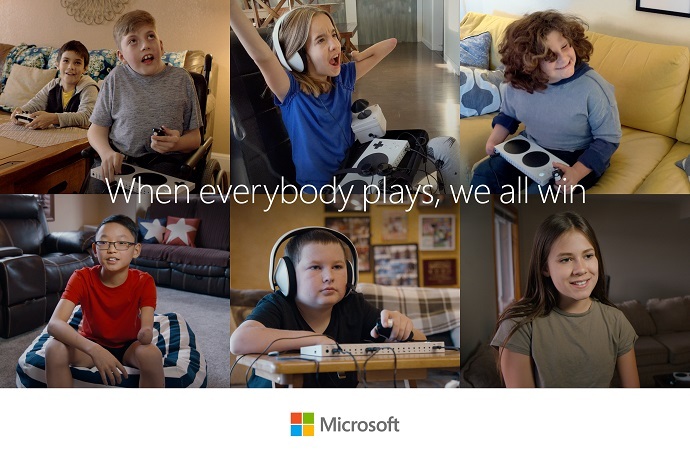 Coming right from the hands of Microsoft and McCann New York, the “We All Win” campaign is all about gaming and how children can enter this wonderful world of pixels with ease. But not just any kids. What the tech giant aims at are children with disabilities. Children who encounter difficulties every time they just want to play a video game. The spot focuses on the Xbox Adaptive Controller, which is designed specifically to meet the needs of gamers with limited mobility. Basically, the ad, doubles as an invitation to all kids, mainly the ones with special needs, to discover the magical world of digital gaming by empowering them to play and to improve their gaming skills. The tagline stands by itself, but in this context, it becomes even more powerful. The ad isn’t about selling Xbox games to a new kind of audience. Rather, the spot aims to encourage people (or the little ones in this case) to do what they love the most. The company succeeds to do that by showing that it isn’t just a giant corporation that wants to sell its product to everyone. “Our intent with our ads is to illustrate a product and a human truth and deliver on our mission of empowering every person and organization on the planet to achieve more. 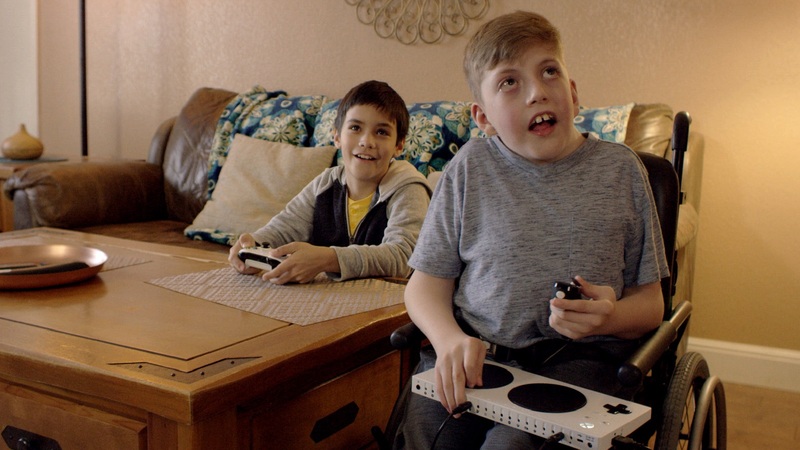 In this instance, the Xbox Adaptive Controller helps the children enhance their gaming experience and compete in new ways. What better message for a premiere sporting event?” says Kathleen Hall, CVP, Brand, Advertising & Research at Microsoft. This isn’t Owen’s first appearance in an advertisement. He made his first appearance in December 2018, when he was the star of the “Reindeer Games” ad. The one-minute-long video follows a bunch of kids racing to the house of Owen, who is about to finally to do it. Born with a rare genetic disorder called Escobar Syndrome, the boy successfully wins at the game and all the other children who gathered to watch him play help him celebrate this wonderful moment. Developed in partnership with the accessibility community, the Xbox Adaptive Controller allows players to customize their controller set-up so that it perfectly matches their personality and mobility. Some parents may disagree that the world is a better place when people are playing video games. Yet, most fathers and mothers will see the real message of Microsoft: that even kids with severe disabilities can conquer the world. Although a digital one. And the tech giant has shown this on several occasions. From its first Super Bowl ad, to developing apps for blind people, improving its Office pack so that is suitable for people with dyslexia to developing books that help visually impaired kids learn how to code, Microsoft has kind of showed its empathic role. The “We All Win” ad represents yet another effort of the company to make this list even longer and help those who would otherwise struggle.